How to Get Rid of Ingrowing Hair? Many men and some women have to deal with ingrowing hair literally every week. The problem can have a great negative impact on the overall condition of the skin, on the looks and on the self-confidence. Complications such as acute inflammation can also occur. That is why the issue must be addressed timely and resolved fully with appropriate treatment. Find out what you have to do to get rid of this problem. 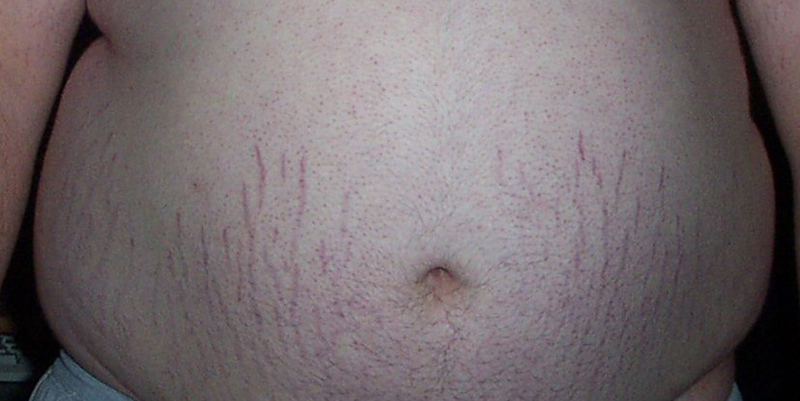 In most cases, the ingrowing hairs find their way to the surface of the skin without any special treatment. You simply need to keep your daily face washing and showering routine. The dead skin cells which block the way of the hair will go away and it will come out. The natural resolution to the problem typically takes a day or two. If the problem persists after a few days and the bump is getting bigger, you should visit the office of a dermatologist to receive medical treatment. The doctor will use a needle or make a small cut with a scalpel to take the hair out. The treatment is perfectly safe and does not cause pain or serious discomfort. The risk of scarring is extremely low. In case the skin is inflamed, the doctor will prescribe topical antibiotic treatment. When the inflammation is severe, oral antibiotic may have to be taken for dealing with the problem completely. If the area is painful, topical steroid medication can be prescribed for quick and effective relief. You need to take special measures in order to get rid of ingrowing hair for good. The first step involves the use of a more effective and safer method for hair shaving or removal. If you shave, you should use razor technology which first picks the hairs up and then does the cutting. You must avoid shaving too close to the skin. After you are done, you should apply an appropriate product for soothing the skin and for keeping the pores open. If you wax, you should consider laser hair removal instead. With this procedure, the hairs are removed at a deeper level of the follicles and this slows down their regrowth and reduces the risk of ingrowing. Frequent cleaning of the skin with a scrub is equally important as it works to remove the dead skin cells which block the hairs’ way out. You have to use a product which is suitable for your skin type and does not cause irritation. The optimal frequency depends on the severity of the problem and the condition of the skin. Sometimes, weekly cleaning with a scrub is sufficient while in other cases it has to be done every day. It is best if skin cleaning is combined with the use of a retinoid-based cream. The cream provides for even more effective exfoliation. It reduces the risk of hyperpigmentation as well. It helps to keep the skin clear and smooth. You should ask your dermatologist to recommend a cream which is highly effective for preventing ingrowing hair yet fairly gentle to the skin. With the right treatment and care, you will never have to worry about ingrowing hair again. How Is Skin Cancer Caused by Sun Exposure? Over the past decades, the number of skin cancer cases has grown dramatically. In many countries, this is the most common type of cancer. The main cause of this condition is frequent exposure to the sun. Find out how the process works. The sun produces ultraviolet radiation which reaches out planet. The most harmful rays of radiation are blocked by the atmosphere and the sunlight which reaches through it is crucial for the life on this planet. Generally, it is good for the health to soak up some sun. However, when you get too much of it, this can be quite dangerous. In case of frequent and prolonged exposure to the sun, the UV rays can cause damage to the skin cells. More specifically, the UV radiation damages the cells’ DNA. This is how healthy cells are transformed into cancer cells. The cancer cells multiply and form a malignant tumor. If the tumor is not treated timely, skin cancer can spread to other parts of the body via the lymphatic system. It is important to note that manmade sources of UV radiation can also cause damage to cellular DNA and consequently skin cancer. The list includes tanning beds and certain types of professional equipment. While professionals wear protective gear to shield themselves from UV radiation, it is a personal choice to stay away from tanning beds for the purpose of protecting your health. Recent research studies have found that different types of UV damage are responsible for the different types of skin cancer. Regular exposure to the sun over a long period of time leads to cumulative damage to the cells. The cumulative damage causes basal cell and squamous cell carcinoma. These types of skin tumors typically appear on the parts of the body which are directly exposed to the sun and get the most UV light such as the face. People who work outside and professional and amateur athletes who train outdoors are at higher risk of developing these types of skin cancer. The people who love sunbathing and do it regularly fall into this category as well. Melanoma, which is the deadliest type of skin cancer, is more likely to be caused by severe sunburns incurred at a young age rather than by exposure to the sun on a regular basis over a years and decades. Researchers have discovered that the sunburns suffered during childhood and adolescence put people at greater risk of melanoma. The malignant melanoma growths can appear on any part of the skin including the inner thighs and the pubic area which normally do not get directly exposed to sunlight. It is important to take all possible steps for lowering your risk of skin cancer. These include staying in the shade during the hours of the day with most intensive sunlight and applying sunscreen on all exposed parts of the skin when going outside. You should wear a hat and a pair of sunglasses for complete protection. Regular skin exams are also among the main preventive measures. Which Organic Cleanse Works Best for a Woman and Improves Anti-Ageing Process? The purpose of an organic cleanse is to help the body to get rid of all the toxins and impurities which clog it. It is true that there are natural bodily functions which are responsible for this, but their effectiveness can be adversely effected by lifestyle factors such as poor diet, lack of proper rest and high stress levels. That is why many women choose to go for cleansing. It has a beneficial effect on all organs and systems of the body including the skin. It rejuvenates the body and slows down the aging process. In order to get top results, you need to select the right cleanse. There are two main types of cleanses that you need to consider. The first one is colon cleansing. It typically involves drinking special teas and taking supplements. In some cases, the teas are replaced with enemas. This treatment can produce good results, but it puts a considerable amount of stress on the body. The more popular option as present is the use of cleanses which are based on fruits, vegetables and small amounts of dietary fiber. These come in the form of juices which you get to drink every day. The juices are made from organic ingredients only. They must not contain any additives or preservatives. There are different levels of cleansing which you can choose from with the juices. The highest level involves drinking only the juice and water without consuming any other food. This regimen is typically kept for five to ten days. The intermediate level, which is preferred by most people, includes the consumption or raw fruit and vegetables as well. The basic level is about quitting one or more types of foods which are not healthy for the set period of time, eating more fruit and vegetables and drinking the juice. You can readily remove processed foods, meat, sugary foods or dairy products from your diet or all of them together. Since juices are the more effective organic cleanses, you should focus extensively on them. You have to select the product which is ideal for you. You must confirm that all ingredients are organic. The use of organic ingredients must be properly certified. You should look into the beneficial compounds present in the juice. These must include vitamins, minerals, antioxidants and fiber. The latter is really important for regulating the processes in the body and for cleansing the gastrointestinal system. It can help to lower cholesterol and blood sugar levels. You have to check how the beneficial compounds which come from the fruit, vegetables and other ingredients are preserved. Pay close attention to the processing of the ingredients. It is best if the pulp goes into the bottles as well since it is extremely rich in nutrients. Make sure that you know how long you can keep the juices for in the fridge. Finally, once you select the right organic cleanse product, you should prepare a program which to follow. It must be based on your level of experience in cleansing, on your overall health condition and on your goals.